Making fresh popcorn on your stovetop is delicious and surprisingly simple! All you need is a large pan or pot with a lid and some popcorn kernels. 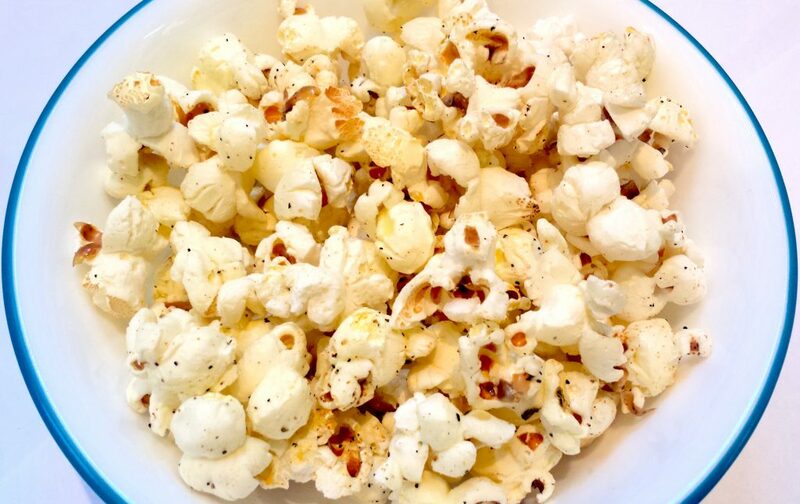 Homemade popcorn makes a great snack and can be made in advance to have on hand for later. Put a medium sauce pot on high heat. Coat the bottom of the pot with a thin layer of oil. Add three popcorn kernels and put a lid on the pot. Once one or more of the kernels has popped, cover the bottom of the pot with a single layer of the remaining popcorn kernels and replace the lid. Gently shake the pot over the heat source to prevent the kernels from burning. Continue shaking until most kernels have popped. Turn off the heat and continue to shake for a few seconds to pop any final kernels. Cooking with Olive Oil – Safe or Dangerous?